Bring Back Childhood Memories Of Minnesota Vacations! 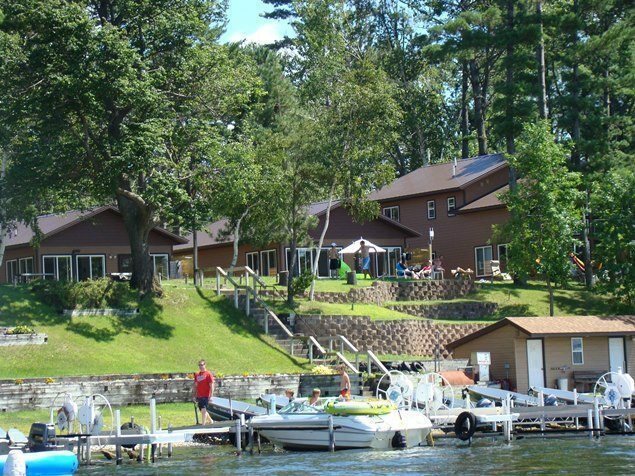 Our MN Family Resort has the affordable lodging options to make your vacation, family reunion, or gathering a success. Our Condos and Chalets have central air conditioning, wood burning fireplaces, and complete kitchens with dishwashers. Our traditional Cabins have complete kitchens. Every unit has a gas grill. Swimming is always a go here with our Indoor Swimming Pool Facility which includes a pool, kiddie pool, whirlpool, and sauna. Step outside to the large sunning area, to work on your tan while the kids swim in our Outdoor Swimming Pool! Bring your shovel and pail to the beach, build a sand castle then take a swim in the clear refreshing waters of Gull Lake. You and your family will love it here! Fishing is what Gull Lake is famous for. Let us get you on the water and on the fish! We have boats, motors, and pontoon rentals. Our boat lifts will protect your boat, and with gasoline on the water, and electricity available for charging you won’t miss a minute on the water! Enjoy our Reunion/Get-Together Facility with kitchen and indoor seating for 60+ people also an attached picnic pavilion! Watch the video about our Brainerd Minnesota Resort. Relax and enjoy a traditional Northern Minnesota vacation. Our Giant Pines, level, park like grounds, and spectacular view of Gull Lake await you. While staying at our Minnesota Family Vacation & Fishing Resort you will find lots to do in the Brainerd & Nisswa Lakes vacation area of MN! Our affordable Cabin, Condo & Chalet Vacation Rentals wait for you at our Gull Lake Resort!!! Of all Minnesota Resorts our Indoor Outdoor & Kiddie pools can’t be beat! Game Room: Enjoy a NEW and larger game room with an incredible collection of classic amusements! For fun on dry land play some tennis, shuffleboard, or a game of volleyball. Our Game Room has all the old favorite video games like Pacman, Donkey Kong, Asteroids and more. Enjoy Pinball, Foosball, Pool Table, and a Jukebox. The kids will enjoy our playground area. To bring your day to a close sit back on one of the park benches, let the beauty of a Gull Lake Sunset fill and refresh you, and rest up for another day ready to enjoy our slice of heaven here at Gull Four Seasons Resort. 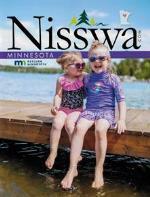 Come stay with us and find out why we are the best resort value in Minnesota.